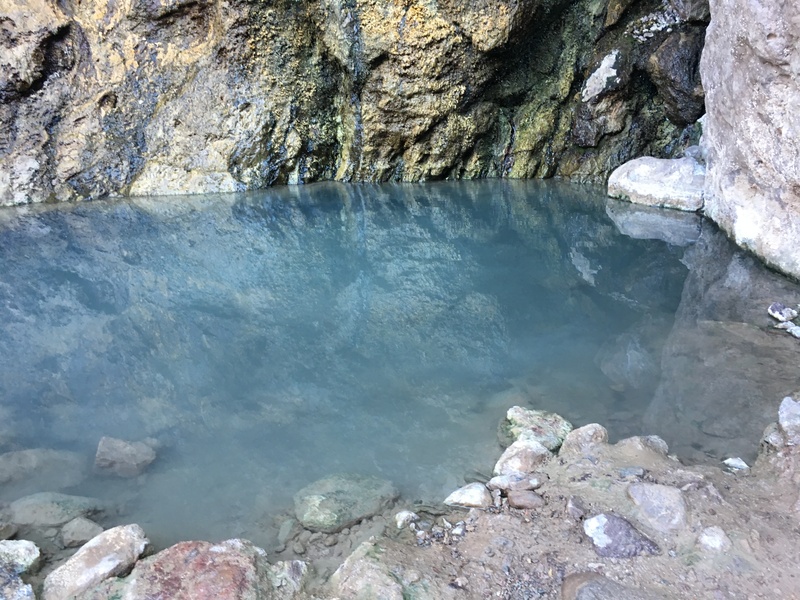 Hot Springs in South Vegas. 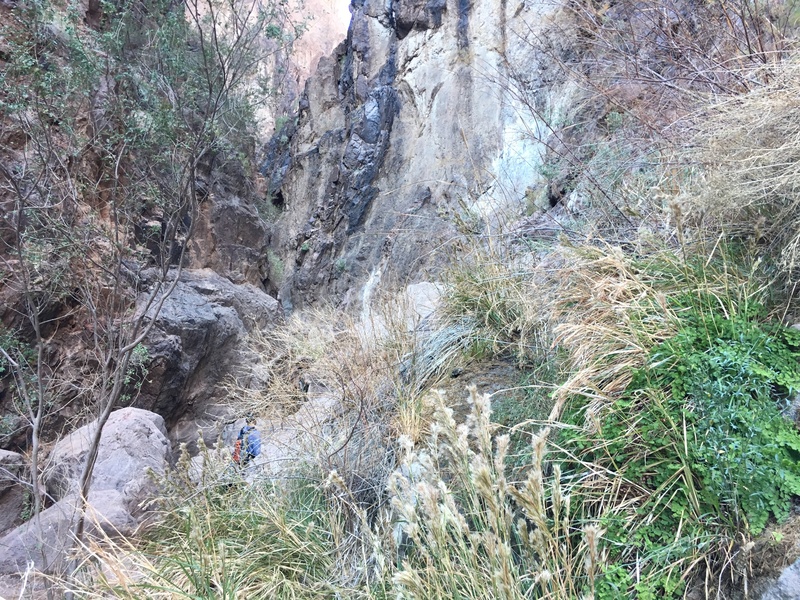 Yesterday I went for a hike with friends to the Goldstrike Hot Springs trail south of Boulder City, just below the Hoover Dam. It was a great day spent with friends and fraught with mishaps, but fun none the less. We started out at 9:30am. I was hoping to be done by around 1pm so that I could have the rest of my Sunday to relax, but just like on Gilligan’s Island, it’s never a 3 hour tour! We actually didn’t get done until around 4:30pm. It is a great intermediate hike that probably could be done in 4-5 hours. You will be doing quite a bit of bouldering and if you’re short you may need the assistance of a friend in some areas. There is only one way in and one way out so you really can’t get lost and there are directional arrows spray painted along the way the help you determine the easiest way down. Make sure to pack something to eat and lots of water! The first part of the hike is pretty easy and relatively flat with a slight downgrade. Then you hit the boulders and you’re scrambling your way down. The hike itself is about 5 miles round trip. About halfway down the hot springs start as a little trickle. You spend a good amount of the hike traversing this little stream. Every time you cross over the stream you can feel the heat of the spring rising. It’s really amazing. Along the way there are several hot tubs waiting for you to soak your aching feet as well as a few small waterfalls. 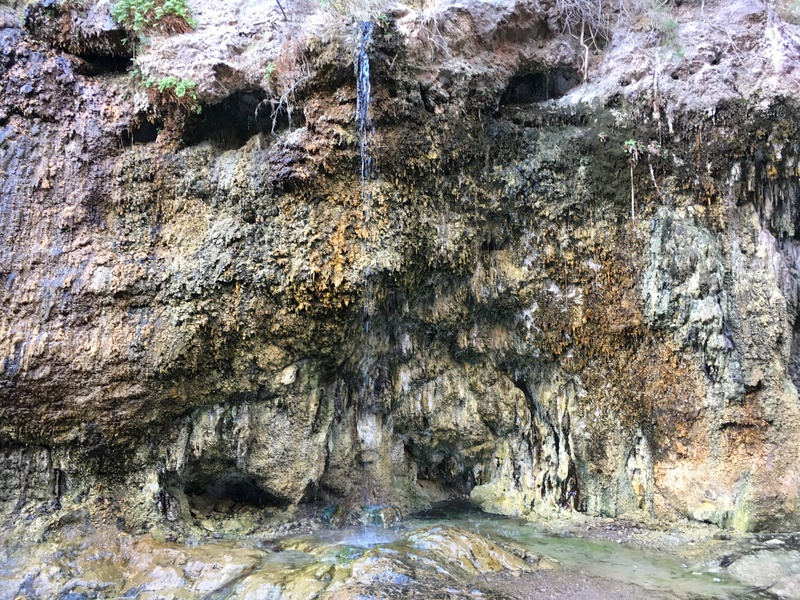 If you follow the springs all the way to the bottom it meets up with the Colorado river. Here the water becomes markedly cooler. It’s a nice area to have lunch and watch the river go by. The entire time I couldn’t help looking around. 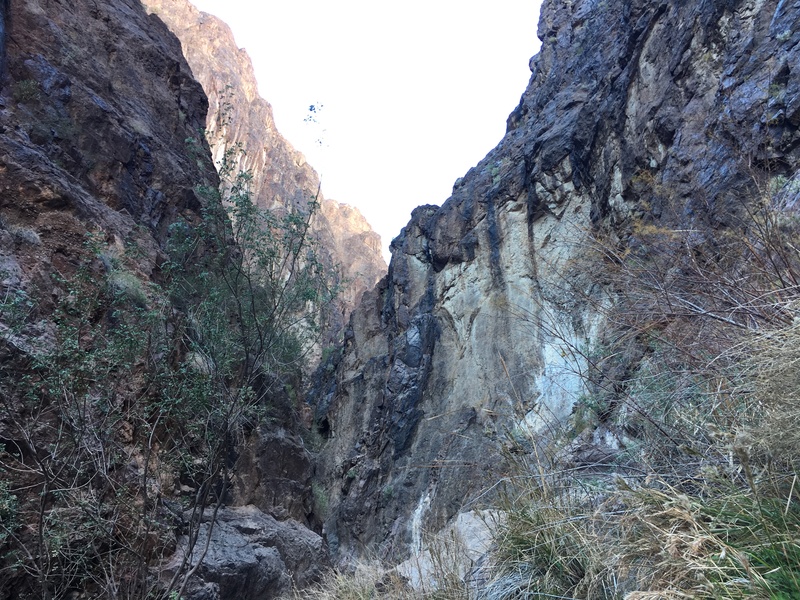 The entire hike you’re in the base of this impossibly tall canyon with walls that seem to reach up to the heavens. It’s awe-inspiring and what I love about this area. I love that you can drive within an hour outside of the city and you are in this dynamic landscape that you’ve only seen in movies. I kept recalling this video game that I used to play. It’s impossible not to think that those game developers didn’t get their inspiration from places like this. Note that this hike is challenging on the trip in and on the return. So prepare to be sore the next day. You can reach the hot springs by driving toward the Hoover Dam. Take 1-515 South onto I-95 (S. Boulder Hwy S.) from there you would take a left onto Highway 93. The turn off is hard to miss so be watchful for it. It will be on the right. The trip will take about 40 minutes from the Strip. I’m hoping to do more of these hikes in the future and keep exploring this surprising section of the United States. Until next time.